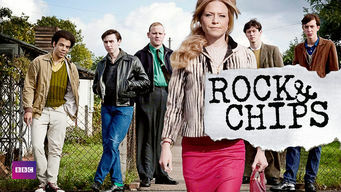 How to watch Rock & Chips: Season 1 (2010) on Netflix Denmark! Sorry, Rock & Chips: Season 1 is not available on Danish Netflix, but you can unlock it right now in Denmark and start watching! With a few simple steps you can change your Netflix region to a country like United Kingdom and start watching British Netflix, which includes Rock & Chips: Season 1. We'll keep checking Netflix Denmark for Rock & Chips: Season 1, and this page will be updated with any changes. 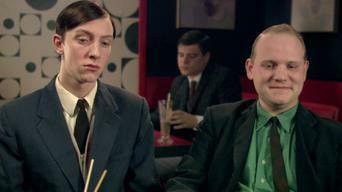 Rock & Chips: Season 1 is not available in Denmark BUT it can be unlocked and viewed! John Sullivan's period dramedy, the prequel to Only Fools and Horses, follows the exploits of the Trotter family under one roof in 1960s Peckham. It's the 1960s. Swinging London is just next door. Everyone tries for a piece of the action ... even this hapless bunch. Season 1 of Rock & Chips has 3 episodes. Because different Netflix countries have different availability for episodes, you'll need to check the episode listing below to see which are available in Denmark. In this acclaimed prequel to "Only Fools and Horses," the lives of the Trotter family are changed forever when ex-con Freddie Robdal reappears. It's Christmas 1960, and Cupid's arrows are flying in Peckham as Del is about to get engaged -- three times in the same week. Joan and Fred plan to sail away to a wonderful new life together, but Fred's arrest for murder casts something of a cloud over their dreams.